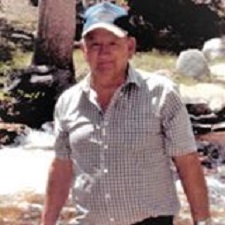 Jimmy Lee Miner age 83, of Mena, Arkansas passed away peacefully at his home on January 12, 2019 in Mena. Jimmy was born on August 28, 1935 in Waldron, Arkansas to the late Myrtle Rogers Miner and the late James “Jim” Miner. He was united in marriage in March 1954 to Annie Fay Venable Miner. He was blessed with six children, twelve grandchildren and fourteen great-grandchildren. Jimmy worked most of his life as a small business owner of a timber operation. He had a great love for his wife, his family, outdoor work, auto racing, dominoes, and ice cream, especially home-made ice cream. As a race car driver, he was affectionately known as Burrhead and was known by all for his sense of humor. He was a loving husband, father, grandfather, great grandfather, and friend to all who knew him. Children: Beverly Miner Hansbrough and husband Danny of Mena, Arkansas, Johnny Miner and wife Brenda of Mena, Arkansas, Gary Miner and wife Kathi of Mena, Arkansas, Danny Miner and wife Debbie of Mena, Arkansas, Steve Miner and wife Jane of Hatfield, Arkansas, and Lena Miner Fox and husband Don of Mena, Arkansas. Many nieces, nephews’ cousins and friends. He was preceded in death by his parents, Jim and Myrtle Miner of Y-City, and sister Dorothy Miner Deer of Dierks. Funeral services will be Wednesday, January16, 2019, 10:00 a.m. at Beasley Wood Chapel with Bother Michael Shaddon officiating. 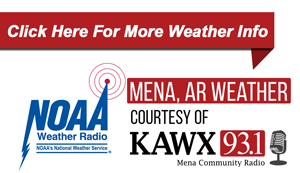 Interment will follow in the Owens Chapel Cemetery under the direction of the Beasley Wood Funeral Home of Mena. Visitation will be Tuesday, January 15, 2019 at Beasley Wood from 6:00-8:00 p.m.
Pallbearers will be Aaron Miner, Colby Davis, J. Evan Miner, Brandon Miner, Nathan Fox, Matthew Huffmaster, Jeff Battenfield, Lane Keene, Ty Keene and Camden Brodersen. Honorary pallbearers will be Norman Wilhite, Sammy Bissell and Dean Heath. The family would like to give special thanks to Johnny and Norma Lott, Jerry and Becky McKee, and Hospice.